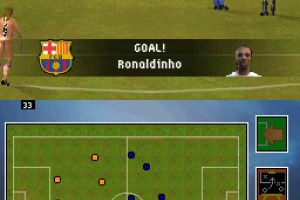 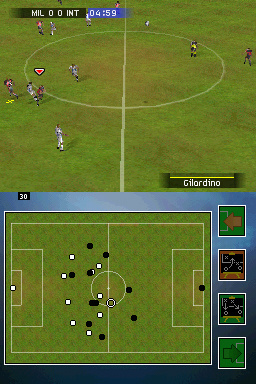 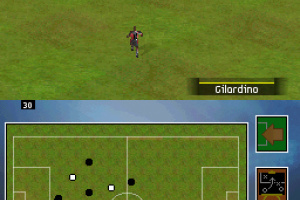 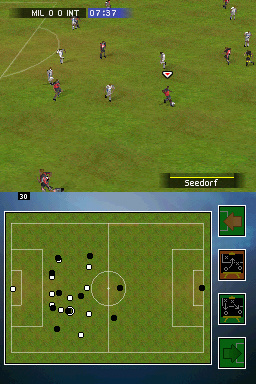 EA has already had several kicks at the ball when it comes to creating the ultimate DS soccer game - has the company finally succeeded with this latest effort? With the Wii instalment of FIFA 08 leaving us extremely impressed indeed, we had particularly high hopes for the Nintendo DS version here at NintendoLife. 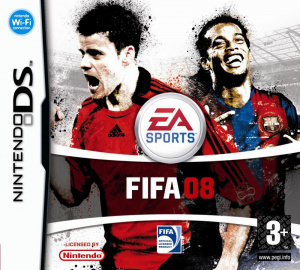 Although the franchise has come in for some harsh criticism over the years, things..
Get closer to the action than ever before by mastering the skills required to play like a real professional player in FIFA 08. 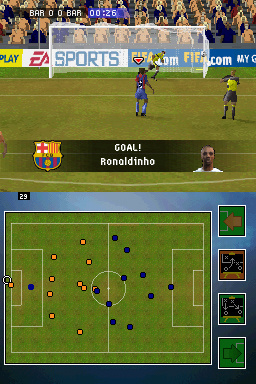 From the moment you step on the pitch, FIFA 08 challenges you to think and react like a real player by giving you complete control over all of the action. 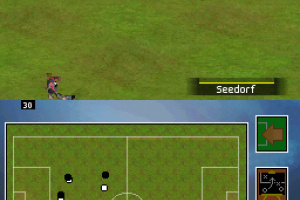 Control the goalkeeper in one-on-one situations to deny the striker yourself, position the goalie exactly where you want on corners, and take complete control to make the save on free kicks. 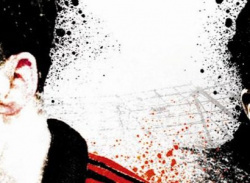 It's now all up to you! 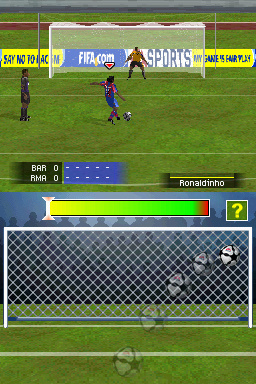 Use the stylus and touch pad for ultimate control on free kicks and penalty kicks. 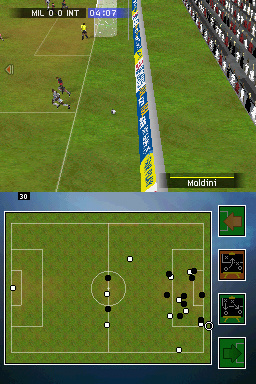 Run up and strike the ball, curling a shot around the wall and into the goal. 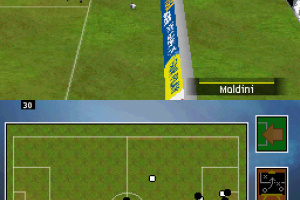 On defense, take control of your goalie and command the wall at the most crucial times. 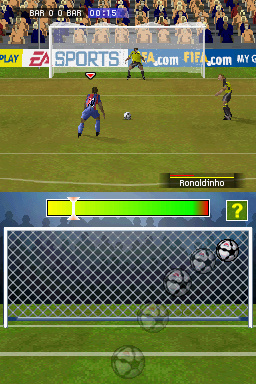 Master your nerves and perfect your shot on penalty kicks to win glory for your club in a new Penalty Shoot-Out mode. 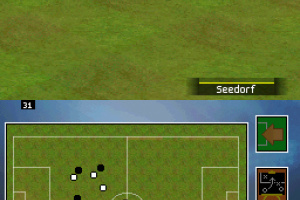 This year it is more strategic to break down the opposition than ever before with new defensive and positioning logic that ensures players are in the right place at the right time, constantly considering all threats and opportunities. 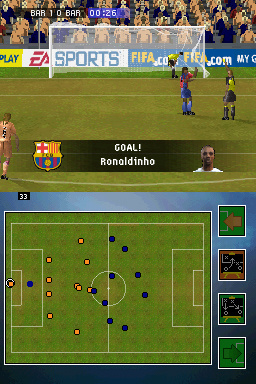 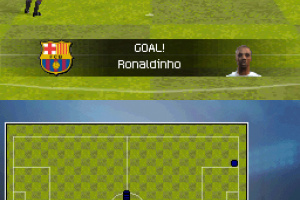 In addition, FIFA 08 is dramatically more real and exhilarating with the inclusion of 30 official leagues and more than 14,000 players all accurately re-created. 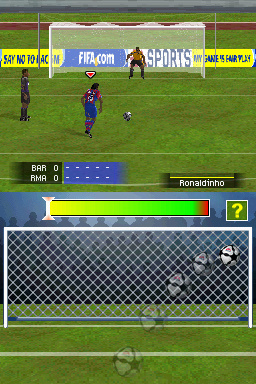 Manual Goalkeeper Control —Control the goalkeeper in one-on-one situations to deny the striker yourself. 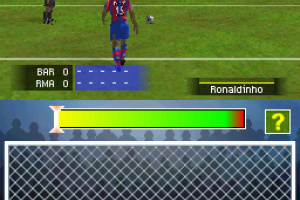 Enhanced AI — New defensive and positioning logic requires greater tactical expertise to break down the opposition. 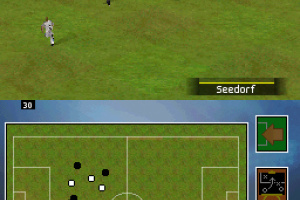 New AI ensures players are in the right place at the right time. 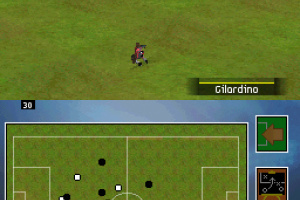 Player and team traits differentiate the stars. 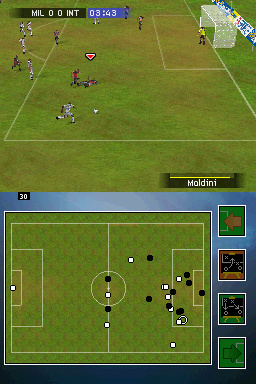 Custom Formations — Design your own unique strategy to create the perfect formation and tactics. 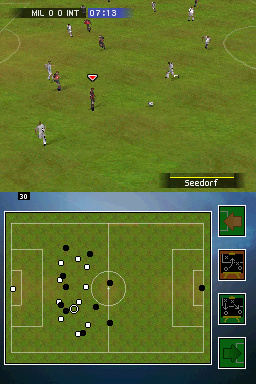 Set each player's exact position in the formation, and assign specific attacking and defensive runs to unlock the opposition. 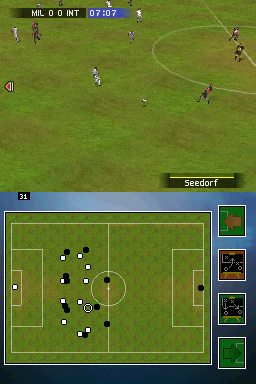 Scenario Sharing—Challenge friends with personalized scenarios via Nintendo Wi-Fi Connection or by generating unique codes you can input into your Nintendo DS. 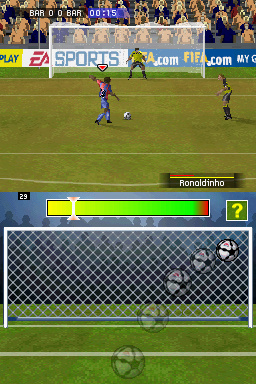 New Touch Screen Controls—Use the stylus and touch pad for ultimate control on free kicks, penalty kicks, and saves. 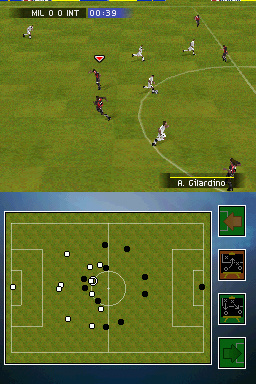 Run up and strike the ball, curling a shot around the wall and into the goal. 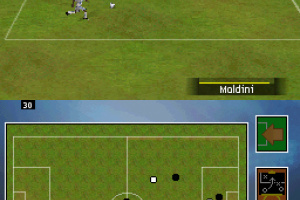 On defense, take control of your goalie and command the wall. 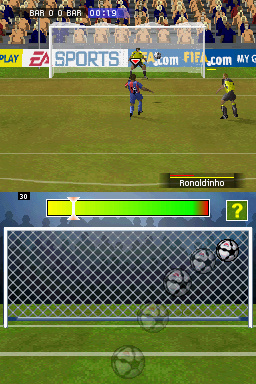 New Penalty Shoot-Out Mode— Experience the elation and agony of a penalty shoot-out as if you were on the pitch. 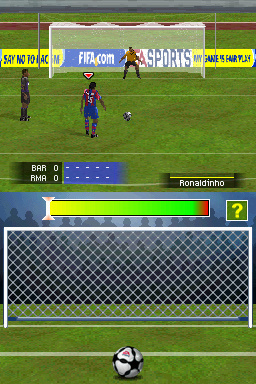 Use new moves to strike the ball past the goalie. 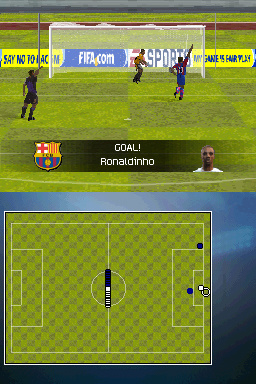 Master your nerves to score the goal that wins your team glory. 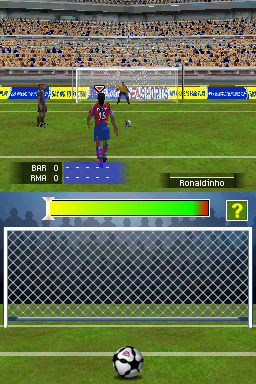 New Online Play—Challenge your biggest rivals across the world via Nintendo Wi-Fi Connection. Single Card Play – Go head-to-head against a friend who has another Nintendo DS in a Single-Card Play wireless match—even if they don't own the game. Complete Authenticity – Featuring 30 leagues and 14,000 players all accurately re-created.